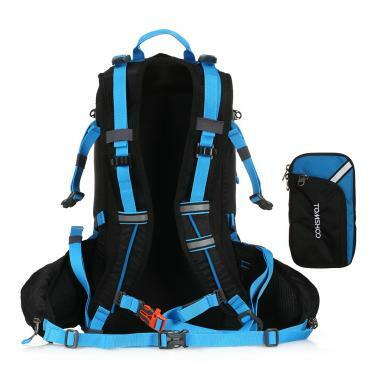 This 20L Cycling Backpack includes many compartments to provide roomy storage space for your items. 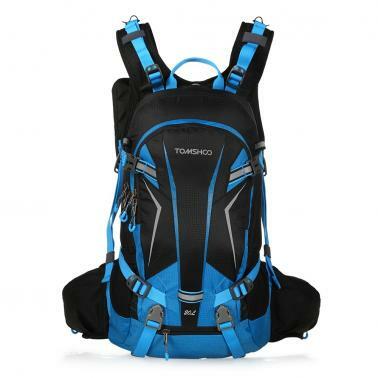 It is made of premium nylon fabric which makes the backpack lightweight, water and tear resistant. The adjustable straps and padded mesh back are comfortable, reflective elements are safe for riding at night and the mesh cover holds your helmet. With a rain cover, you'll never worry about your valuables ruined in rainy days. 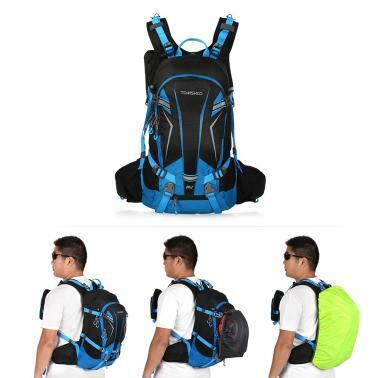 It is a great sport backpack for all kinds of outdoor activities such as cycling, camping, climbing, hiking, traveling, etc. 20L cycling backpack includes 1 spacious main compartment and many external pockets to provide roomy space for your belongings. High quality nylon fabric is lightweight, water resistant and tear resistant. Adjustable shoulder strap, chest strap and waist strap to fit you comfortably. Ventilated mesh and comfortable foam padding for extra back support and breathability. Reflective brand logo and strips for safe riding at night. Mesh cover to hold your helmet. Rain cover to protect the backpack and your essentials in heavy rain. Removable pouch on the shoulder strap to store your cellphone. 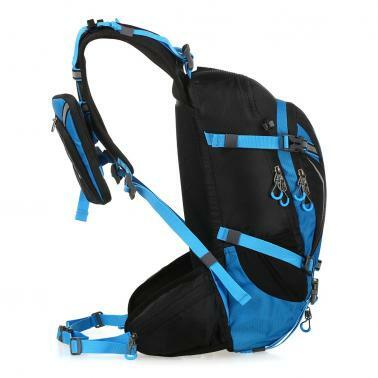 Suitable for cycling, camping, hiking, mountaineering and other outdoor activities.